A contemporary box for storing cufflinks. 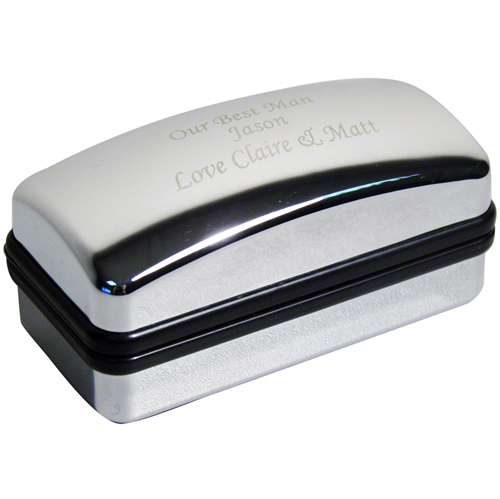 This silver finished cufflink box makes the perfect personalised presentation box for any occasion. The box can be engraved with any message up to 3 lines, 20 characters per line. Engrave with any message up to 3 lines, 20 characters per line.